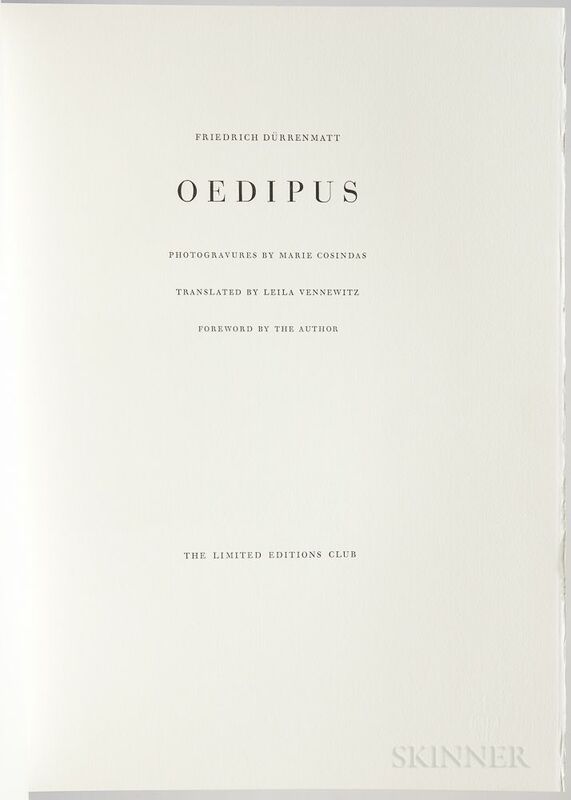 Dürrenmatt, Friedrich (1921-1990) Oedipus , Illustrated with Photogravures by Marie Cosindas. Dürrenmatt, Friedrich (1921-1990) Oedipus, Illustrated with Photogravures by Marie Cosindas. New York: Limited Editions Club, 1989. 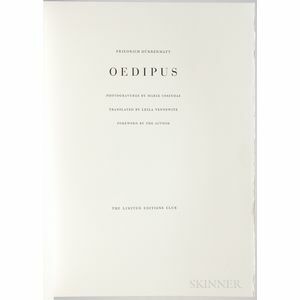 Copy number 522 from of edition of 650 signed by Durrenmatt and Cosindas on limitation page, bound in publisher's half leather, housed in the original slipcase (slipcase sunned), 14 1/4 x 10 1/2 in.